For kids, Halloween is a time to let their imaginations run wild and offers them chance to inhabit some of their favorite characters. 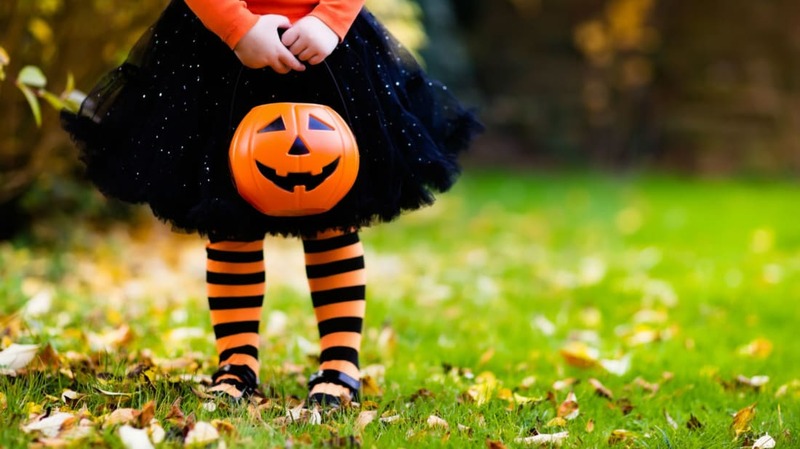 For parents, it’s a time to make sure their children don’t gorge on candy and that costumes don’t pose any unnecessary dangers. Owing to poor production quality or design, some outfits and masks hold the potential for tripping, skin irritation, or—very rarely—becoming a fire hazard, ABC News reports. According to the Centers for Disease Control, there are a few ways to mitigate those risks. When shopping for costumes, look for nylon or polyester materials or tags that indicate the material is flame-resistant. Flimsy fabrics, particularly in outfits with long sleeves or big skirts, might brush up against candles and ignite. Mobility is another concern: If a costume has a long skirt, it shouldn’t interfere with walking. Masks shouldn’t significantly obstruct vision and should provide ample ventilation; kids should be advised to lift them up when crossing streets to make sure they can see crossing traffic. For trick-or-treating after dark, reflective stripes on treat bags can help visibility for passing motorists. Kids who get together to try on one another’s costumes pose a less serious, though potentially troublesome, hazard: head lice, which can be passed from sharing masks and costumes. If your child plans on exchanging disguises, sealing the costumes in plastic bags for 48 hours or drying them on high heat for 45 minutes should kill any pests.